Who remembers the three “R’s” of education? Those of us of a certain age (ahem) might remember ” reading, writing, and ‘rithmetic”- circa 1900-something B.C. (before computers). 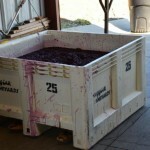 Harvest in the wine industry has its own version, however, it’s the three “P’s”- pick, punch, and press. 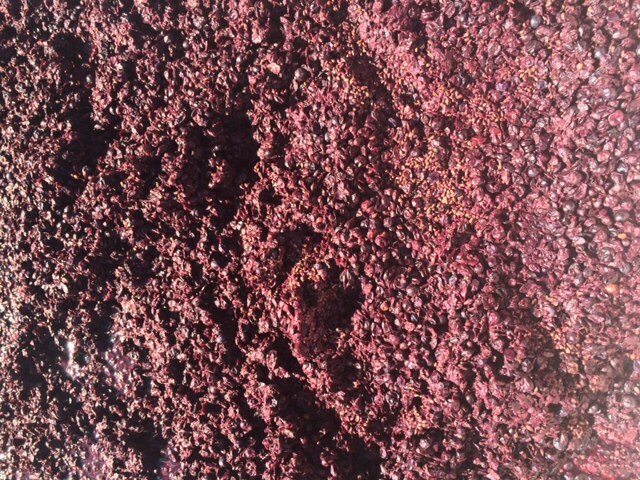 We started picking a few weeks ago, we do punch-downs (breaking up the cap of grape skins, stems and seeds by pushing it down into the fermenting juice) on our reds shortly after picking and now, we have just started pressing our first reds this week. 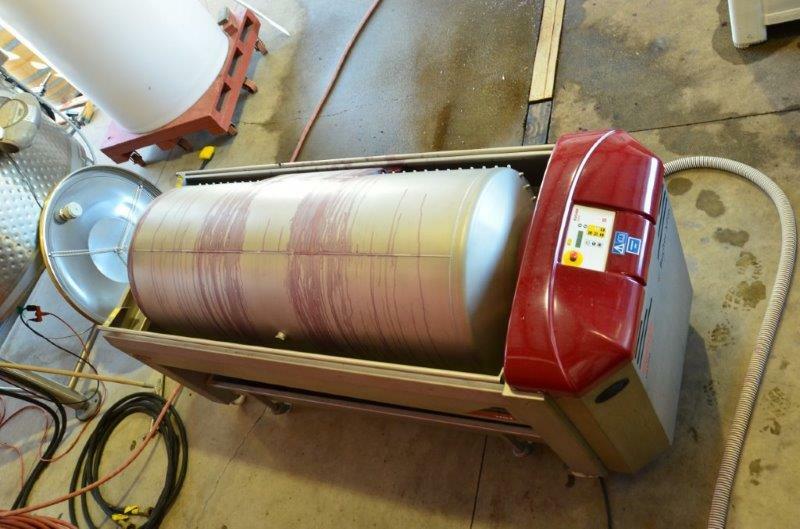 Pressing- sounds pretty simple, but for a small winery like Naggiar, it is kind of like parenting-very labor-intensive and requires a lot of loooooo…gistics (I know, that was your second guess). 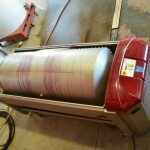 The first part of pressing is the part that requires the logistics. 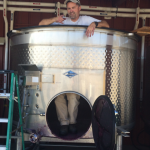 Before we even start, we need to find a suitable tank to press to, one of the proper size and one we can tie up for a few days- smaller winery, means fewer options and more creative maneuvering. Next, we need to time the termination of the punch-downs with the press date to maximize the amount of free-run juice produced. So, what’s so great about free-run juice- is it like free-range chicken? 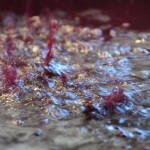 Letting the grapes run around freely not in cages to produce happier juice? Believe it or not, kind of- bear with me, it will make sense like it always (?) does. 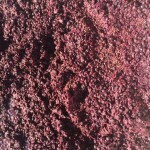 Pressing the must (the cap I mentioned in the punch-downs) leads to a greater extraction of tannins. 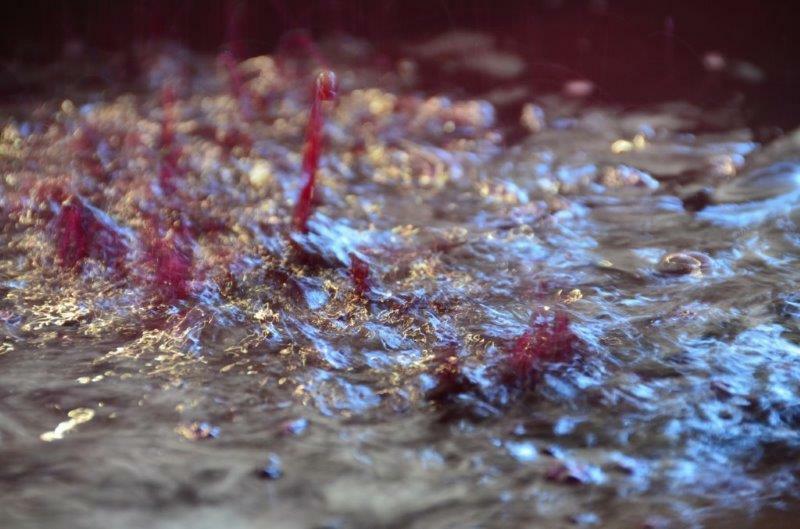 While we like tannin, there is a fine line between just enough and excessive tannin- so the more you squeeze, the more tannins you get=not so jolly juice. I know, it’s a stretch. Once the free-run juice is drained from the tank, it’s on to the hard part. Up until this point, the pressing has been pretty passive. 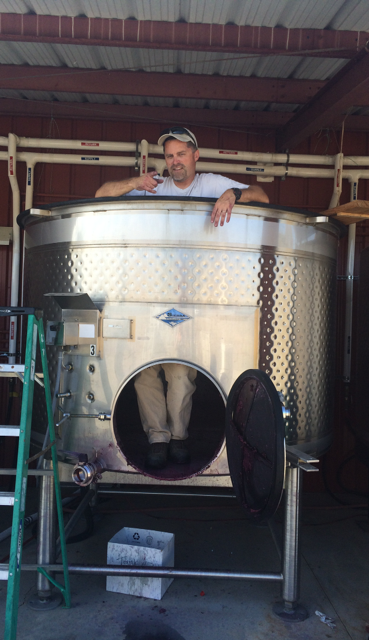 As soon as the free-run juice has finished frolicking, we open up the bottom of the tank to extract the must. Eventually, this leads to someone getting into the tank and shoveling all of the pommace out. Derek was the lucky guy to be honored with that task for the first round of pressing. Shoveling out five tons of young vine Barbera gives one quite the cardio and shoulder workout- I got your workout right here, Crossfit, Smoshfit. Once the tank is empty, we take bins full of the pommace to our small press and then, using five gallon buckets, empty the bin into the press- doing it old-school. This time, Derek had help from Benji. Now for a little math- as you know, my absolute favorite subject. Five tons requires three, one hour rotations in our press (yes, I’m already lost, but I will press on). 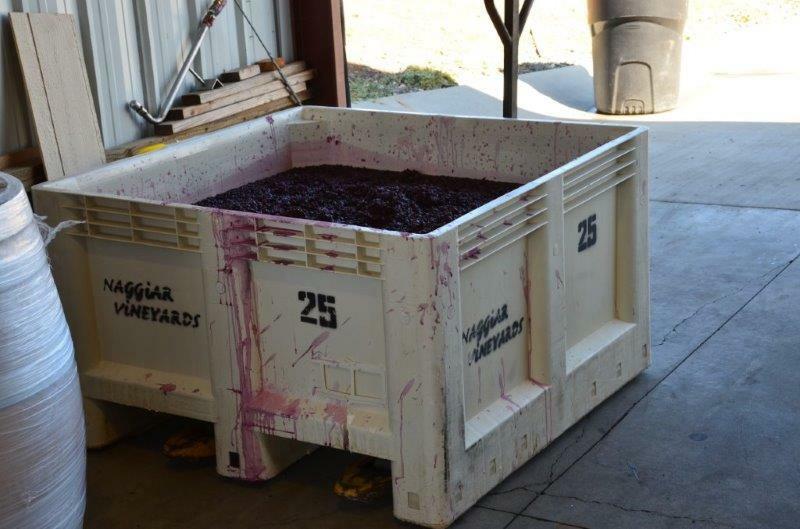 In between rotations, we dump the pressed must and shovel it yet again, into a bin, this one going out to be dumped in the vineyard. 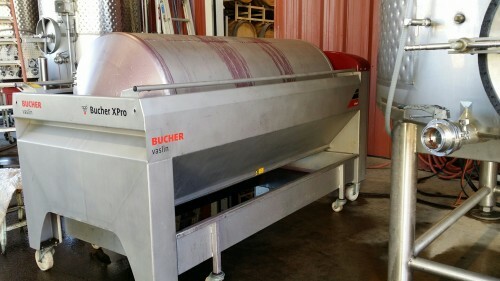 So for the 5 tons, as I mentioned, we have to do this three times; over Harvest, we process 100+ tons of grapes-I’ll let you do the math, but that’s a good workout for both people and machines.